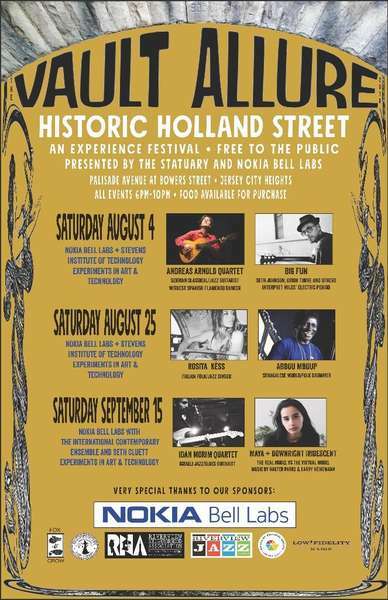 This summer, we will be sponsoring a series of free performances as part of The Vault Allure experience festival on Jersey City’s historic Holland Street. The performances stem from the work of Nokia Bell Labs Experiments in Art & Technology (E.A.T.) program and will feature faculty and alumni from our distinguished academic partner, Stevens Institute of Technology. Sprinkled between performances from a variety of local and international acts, the E.A.T. artists will show how they are employing technology to create new forms of expression and, in turn, how technological innovations are being honed to more accurately capture, interpret and enhance human creativity. “Expand” – Stevens Institute graduate and Nokia Bell Labs E.A.T intern Danielle McPhatter will employ generative audio and generative visual to create an orb of ambient sound, which can be manipulated like a futuristic instrument through the changing positions of a virtual hand. This short performance will be repeated throughout the evening. “White Fire” -- Lainie Fefferman, Stevens Institute asst. professor of Music and Technology, performs three digitally augmented songs. “Impulses” – Andrew Kihs, a recent graduate from Stevens Institute, uses data mapping to provide a stunning visual display. “Baroque or Broken?” - Stevens Institute graduate Moenika Chowdhury taught the music of Bach to a computer using machine-learning algorithms. The computer plays back its interpretation of the classical piece and Moenika, on flute, accompanies the computer with a live interpretation. The performance shows how far artificial intelligence has come in replicating human creativity. 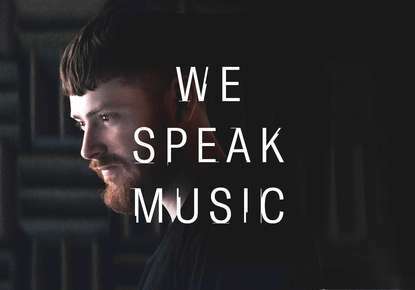 The International Contemporary Ensemble presents the Music of Seth Cluett – This ensemble will play compositions by Nokia Bell Labs Artist in Residence and former Professor at Stevens Institute, Seth Cluett. In this unique performance, each instrument has been modified with 3D-printed speaker inserts. The expert musicians will adjust their performance as they play, based on instrument feedback and their own creativity. This work was developed to examine the role of modern technology in pushing the creative bounds of humanity. Nokia Bell Labs Experiments in Art & Technology (E.A.T.) program strives to better the human condition through the collaboration of artists and technologists. It seeks to develop modes of empathic communication to break down the barriers that exist between people and to augment our senses to make visible the invisible signals to which we are naturally blind. The Nokia Bell Labs E.A.T program and its work are carried out in the tradition of the nonprofit organization originally co-founded by Bell Labs engineers, Billy Klüver and Fred Waldhaumer, and artists Robert Rauschenberg and Robert Whitman in the 1960s with the aim of encouraging cross-disciplinary work between the arts and sciences.